Here you can view some of our latest activities and projects. Scroll down to see latest blog posts, or use the subject tabs to navigate through the website. Feel free to phone or email if you would like to speak to us. 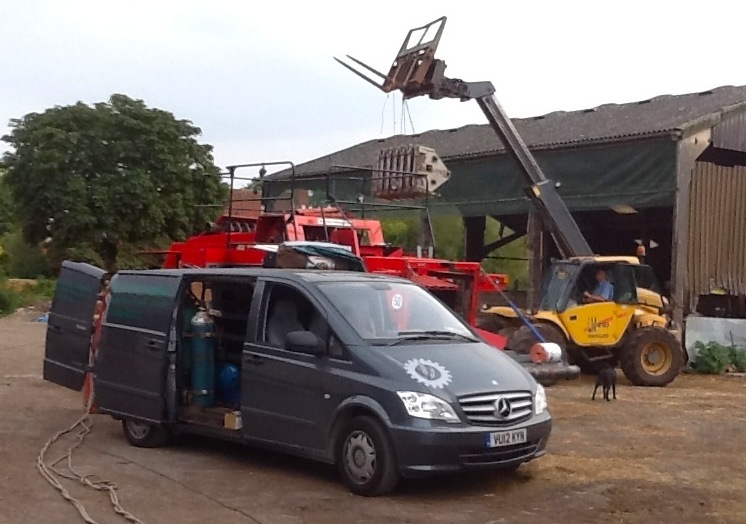 Telephone 01983 555111 or email frantz@agritechnik.co.uk or call my mobile 07787 948172. If there is no-one available to pick up the phone, we will get back to you as quickly as possible. Agritechnik has acquired a diesel-powered 6 inch chipper, and here it is out for its test run. I’m pleased to say it munched up some oak branches very efficiently. 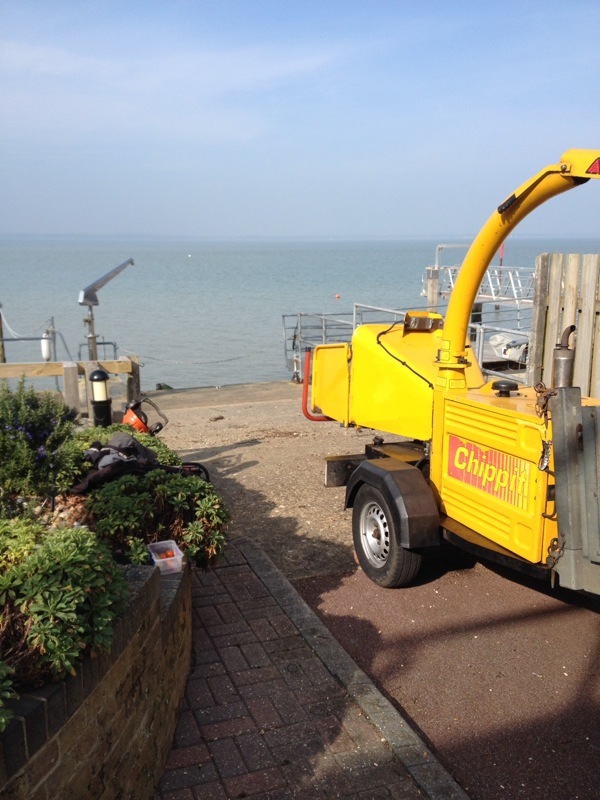 It is now available for hire for £80 per day + VAT (and diesel). 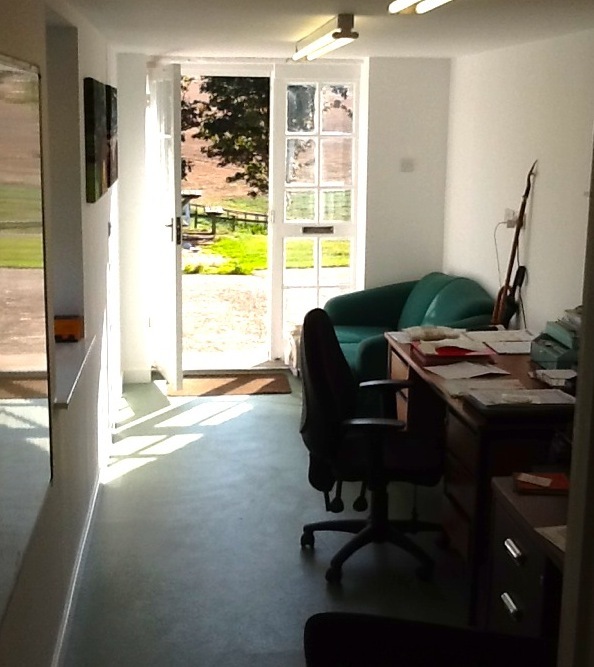 Our building works are complete and we are pleased to be in the new office – far more comfortable and convenient for our customers and ourselves. 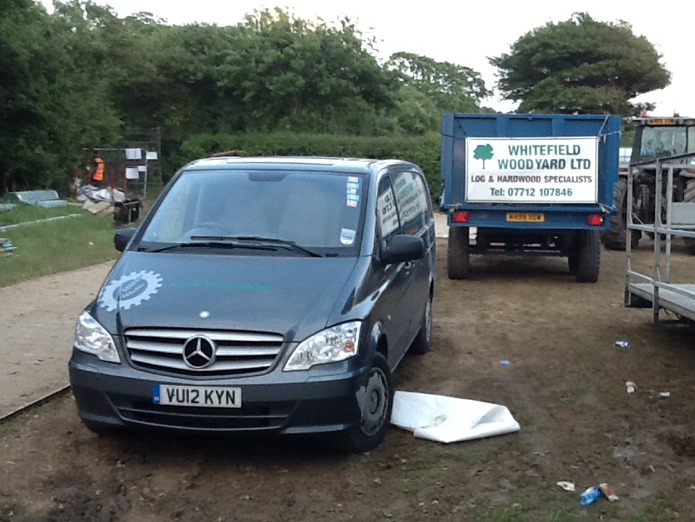 Agritechnik visited one of the untidier corners of the Isle of Wight Festival – to deal with an urgent customer call! We are now offering a chipper blade sharpening service as we have bought a machine specifically for this task. Just drop in with your blades and we can sharpen them while you wait, although its a good idea to phone first to avoid disappointment. Alternatively, leave the blades with us and collect them next time you’re passing.